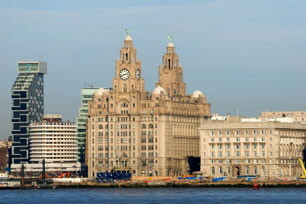 The Royal Liver Building built in 1911 is one of the most recognisable landmarks in the city of Liverpool and is home to two fabled Liver Birds that watch over the city and the sea. Legend has it that if these two birds were to fly away, the city would cease to exist. "As the manager of the probate department, I instigated the purchase of Isokon software to assist in the management of our estate and trust administrations following a conversation with a tutor on my STEP course. We had been using software which, firstly, only provided probate administration and, secondly, was not very sophisticated in dealing with the various forms of tax. We wanted a system that we could also use for our trust administration and other private client work. We also had a requirement for software that could produce self assessment returns and was sophisticated in dealing with various types of investments, such as OEICs with accumulated income. Isokon was able to provide all of this. Our expectations have been met and more. The system meets all our requirements for dealing with simple and complex estate and trust administration and continues to be developed. If we note something that the system does not deal with, this is taken on board immediately and included in the program of development. Myself and my colleagues continue to be delighted with the support provided by the Isokon team on a daily basis. Whatever the query, we receive a response almost immediately. One of the most pleasing aspects of Isokon is that the support team has remained unchanged in the five years since we first started using the product. Even though we have not met, it is comforting to receive a response, either by email or telephone, from people [with whom] we have formed a working relationship with over the years. Any private client department, small or large, would benefit from purchasing Isokon."